India, which is the home of 1 percent of the World’s Vehicle Population accounts for 10 percent of the fatalities due to road accidents. UN has declared 2011-2020 as the “Decade of Action for Road Safety”, but in 2012 alone as per the National Crime Records Bureau (NCCB) 1.39Lakh persons have lost their lives and the recorded total accidents were approximately four times the fatality count. According to a working committee’s report of Planning Commission published a decade ago, India loses 3% of GDP every year due to accidents, but what we have learned from the study seems to be marginal and the International Road Federation (IRF), a non-profit organisations report reaffirms the same accounting Rs.1Lakh Crore as loss due to road accidents in India. Road safety has to begin with self, but it also needs a supporting hand from the law makers and enforcement agencies. 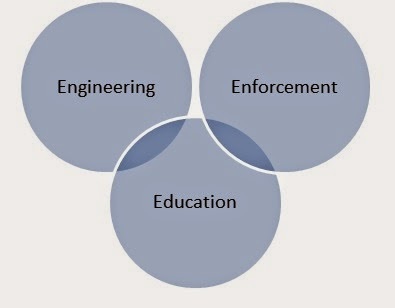 Engineering, Education and Enforcement are the three sides of the triangle and all three sides have to be firm and mutually supporting to curb road accidents. Road Engineering: Accidents in road are not always due to driving errors, many a time poor road engineering is also the cause. In India, road contractors are not made accountable and we don’t have any warranty period for the laid roads unlike other developed countries in the world. Engineering changes of International standard like the Victoria Road Model in Australia has to be implemented. Though policy makers’ role plays a vital role in bringing engineering changes, the role of end users (you and I) plays a crucial role. Reporting to the concern agencies and following the steps taken with respect to the flaws in the road ensures affirmative action. Education: Education or road safety awareness is the heart of the triangle. Not much change can be brought, without the assent of the individuals. Road safety awareness which includes wearing helmets, seat belt, following traffic rules and signals, avoiding intoxicating drinks, avoiding usage of handheld devices , using low beam etc., can achieved only by brining awareness among the road users. Government and other private bodies like NISSAN through their Corporate Social Responsibility have taken steps in the last few years to bring awareness to the public about following road safety rules is a healthy sign. Enforcement: “It doesn’t matter whether you ride well or not, the one who comes opposite to you may not be riding properly” my grandmother used to quote the same whenever I plan for a road trip. In many cases rash driving, breaking traffic rules, drunken driving are the cause for the accidents. I do not wish to call them accidents as they are more or less murders and there required stringent punishment for the same. The Supreme Court judgement suggesting stringent punishment for deaths caused due to drunken driving need to be advertised. Sometimes fear of punishment can also bring changes. From the law makers, the proposed Road Transport and Safety Bill, 2014 which intends to bring amendments to the outdated Motor Vehicle Act, 1988 is a positive sign. The three walls of the triangle can be made strong only with the support of the individual citizens or at least the vehicle users. In the population of 125 Crores we cannot expect enforcement agencies or law makers to patch the road safety issues moving nook and corner. Even in the age of mass media, information and awareness doesn’t reach the targeted audience in large. Every individual has to play a vital role in spreading road safety awareness just like a nuclear chain reaction. India has signed the UN Vehicle Safety Regulations in 1998 which promotes Steering Mechanism, Seat Belt Anchorages, safety belt and restraint systems, child restraint, occupant protection, electronic stability control, pedestrian protection etc. But as per the Global New Car Assessment programme (NCAP) safety crash test which was done first time for Indian cars comes out with shocking revelation that most of the cars failed to cope up the safety standards. It was highly debated in Media, but a closer look at the look at the same gives a clear cut view of what went wrong. For example, Nissan Datsun Go too failed in the crash test and was published across newspapers and news channels; here it is worth understanding that three of the cars manufactured by Nissan and sold in US bagged 2014 IIHS Top safety pick and Nissan Teana received the first ever maximum ratings (5 stars) for using child restraints. So it is a clear indication that something lags in India to fix such safety measures by default. The clearest reason is that the end user wishes to buy budget cars forcing the manufacturers to provide safety features like Air Bags or Anti-Lock braking system as an additional option and secondly there are no prescribed safety norms unlike US or EU markets. Promoting safety while buying cars can bring changes and just like all it is me who has to decide what I need. Whether I am going to get satisfied with the least priced or better safety? We should know our priorities. Though education plays a vital role in reducing accidents due to traffic rules violation, using high beam, drunken driving and using mobile phone while driving and so on, technological innovation can bring such changes by default forcing a violator to follow the rules and protecting the road user at the other end. Drunken Driving: Mandatory provision for Ignition Interlock Device (IID) or Breathe Alcohol Ignition Interlock Device (BAIID). The technology is already tested and implemented in various parts of the developed world and the role of the policy makers is now essential for the mandatory implementation of the same in India. Avoiding Mobile Phone Usage: “SMARTwheel” technology which tracks the individual and provides signal when either of the hands or both hands are removed for long time or when the hands are placed nearby as done during texting. These signals could be programmed by default to a traffic control room and instant actions could be taken on violators. The technology could be very well implemented in highways and cities in the initial phase. High Beam: Glare free high beam function is one such innovation which allows the user to drive with high beam without creating glare at the other end. Seat Belt: A simple seat belt interlock without which a vehicle cannot start or provide continuous beep sound is more than sufficient to force an individual to wear seat belts. Apart from it, automatic voice recording which should announce the impacts of not wearing seat belts should sound continuously till the user opts to wear seat belt. Smartphone technology has rooted even to the remotest places of India and a simple app with well integrated features can provide better results. This app concept is totally formulated by me (Ganesh Babu S) and I wish it would be live someday. The app can yield better result if it is operated by the enforcement agencies directly. Carrying hard copies of licence, insurance, RC book etc., still remains a hectic issue particularly for two wheeler users. In spite of having all these documents many users forget to carry the same and end up paying penalty. Failure to renew vehicle insurance in time either due to any reason whatsoever. Poor awareness about insurance providers and the riders provided along. Inability to cross verify the authenticity of the certificates provided during verification of the documents by the policemen. What the app intends to focus? Every user must create an account for him and will be asked to provide his AADHAR id (hoping that universal coverage will be done in the near future). He can provide certificate numbers of the RC book, insurance and licence numbers. 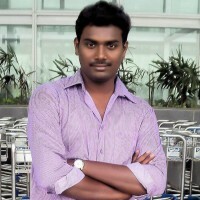 All should be verified for its originality and a unique account number should be provided for the user. The vehicle registration number itself can be used as a unique number for better remembrance. During verification by the police, just entering the vehicle number in the hand held device provided to the policemen is sufficient to verify documents. When the date of insurance is about to lapse, the user can renew the same from the app and the app will designed to notify every day in the last 30 days before the expiry of the insurance. The additional money earned by the enforcement agency through the sales of insurance can be invested again in road safety awareness. The app will also have an option encouraging users to complain violators to the enforcement and part of the fine collected can be awarded as points which can be redeemed later for renewing insurance. Road safety awareness pop up every day in the mobile and minimal points as mentioned above could be provided for activating the same and sharing the same in social networking sites through the application. Overall it will be a citizen centric approach to address the issues. 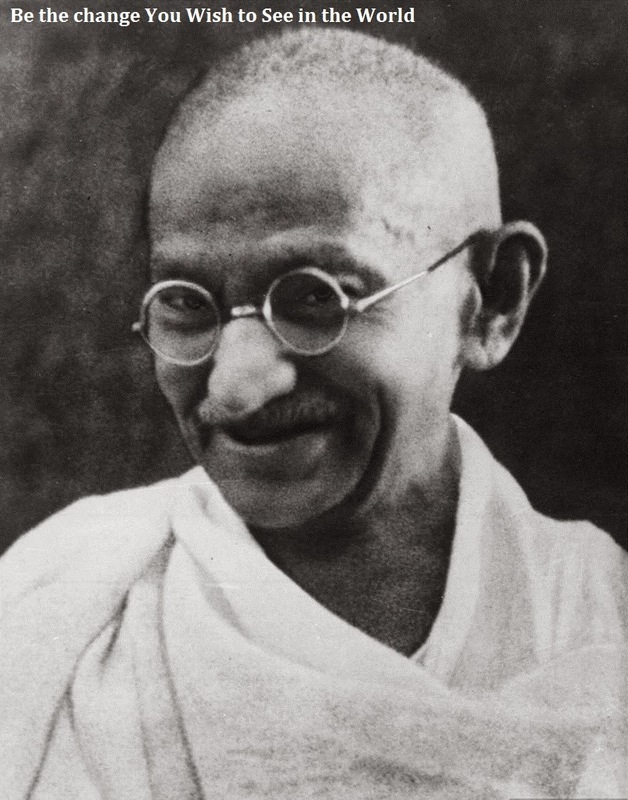 “Be the Change You Wish to see in the World - Mahatma Gandhi”. The first step towards a healthy road safety will be a change within us. Let us begin and spread the word to our family and friends. Follow and obey the rules even if the entire world around you violates. Remember safety begins with every one of us.